At 4:30 pm we meet at a local market to go and purchase fresh produce. 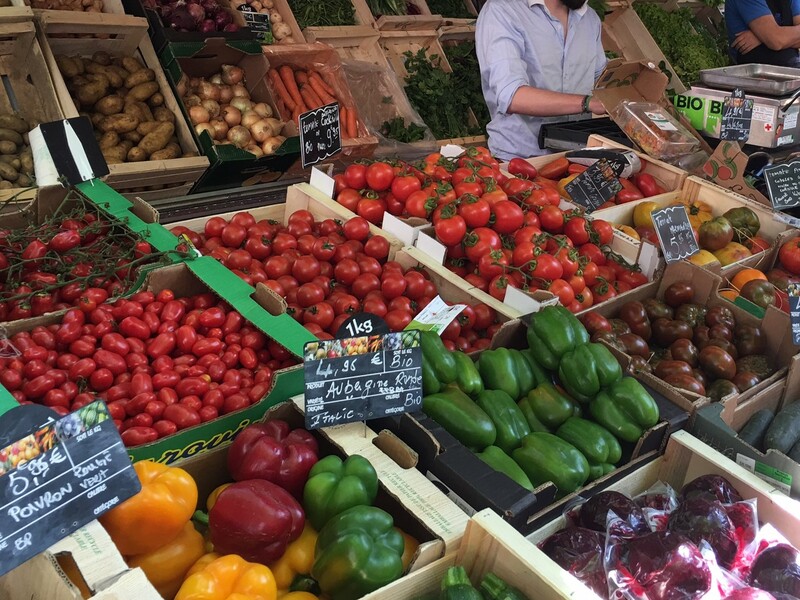 Your chef and guide shares stories about the specific Parisian market culture, produce being shopped and food merchants in France. Around 5:45 pm we are back at Le Foodist for our Hands-On Cooking Class. 8::00 pm is time for dinner - to which we add white wine, red wine and cheese, of course!